Are you facing rising childcare costs? Parents are now shelling out £133 a week per child on average for childcare during the school holidays, a report has found. Holiday childcare costs have risen by 4% in just a year, according to the Family and Childcare Trust's annual survey - leaving parents with expensive bills. It also suggests that many families are facing a "postcode lottery", with prices around a third higher in the East of England than in Inner London or the West Midlands. The findings, which come as children across the country break up for the six-week holidays, show that across Britain, parents now pay an average of £133.34 a week for full-time holiday childcare for one child - equivalent to around £800 for the entire summer break. In England alone, the figure is £134.66, while in Scotland and Wales it is around £10 cheaper at £124.44 and £124.85 respectively. A further breakdown shows that the most expensive English region is the East of England, where parents can expect to hand over £169.38 a week for full-time holiday care. This is around 35% higher than some other areas, including Inner London, where average weekly prices are £125.01 and the West Midlands at £125.90. Overall, the report notes, holiday childcare costs are nearly two and a half times as much per week as an after-school club. "For parents and carers, finding childcare during the holidays can be particularly challenging," the report says. "The price is normally significantly higher than term time childcare, which can throw off carefully managed budgets. "There are also substantial gaps in availability, meaning many parents will find it difficult to find childcare that covers their working patterns and suits their children's needs. "Where holiday childcare is unavailable or too expensive, parents are left with few options. Many cannot call on family and friends to provide all the informal childcare they need, and will not have enough annual leave to cover the long break, and some struggle to stay in work." The report is based on surveys of local authorities in England, Wales and Scotland. 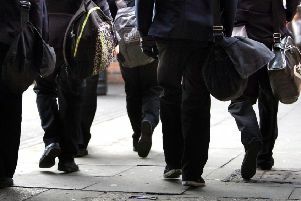 Ellen Broome, chief executive at the Family and Childcare Trust, said: "Now is the time to urgently address childcare policy for school age children. For too many families, the long summer holiday is a time of stress and expense as they try to patch together a solution despite the gaps in availability and financial support." Justine Roberts, Mumsnet founder and CEO, said: "Once again, this study is showing that childcare costs are a huge drag on families' budgets; 'free' childcare hours, welcome as they are, are often confined to term time, leaving mothers and fathers scrabbling to make piecemeal arrangements throughout the long vacation. "Childcare is essential infrastructure to support employment, particularly for mothers, and needs to be recognised as such." Children and families minister Nadhim Zahawi said: "This Government is doing more than any before to support parents with the cost of childcare. "We are investing record amounts - around £6 billion a year by 2020 - to make sure as many children as possible have access to high-quality care. "We are also looking at the most effective ways to support parents with wrap around care for older children, which includes £26 million to kick-start and improve breakfast clubs in at least 1,700 schools and £2 million to fund free enrichment activities and healthy food to disadvantaged children during the summer holidays."